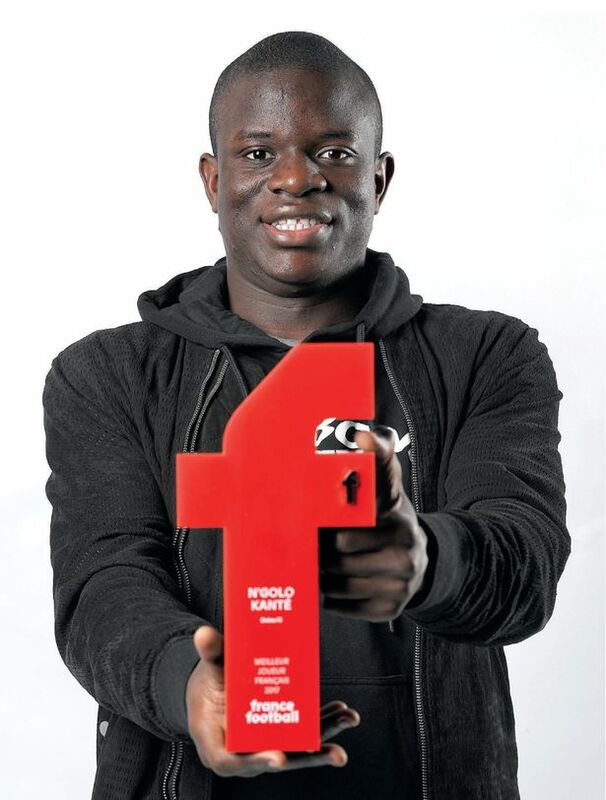 Chelsea midfielder N’Golo Kante has won the French Player of the Year award for 2017. The former Leicester City star got 92 votes to beat Paris Saint-Germain teenager Kylian Mbappe to the award by five votes. He had won back-to-back Premier League titles with Leicester City and then the Blues, and proved himself as one of the best midfield enforcers in the game. Real Madrid striker Karim Benzema took third with 52 votes. The poll, organised by France Football, included votes from four past winners including 2016 winner Antoine Griezmann, France boss Didier Deschamps and ex-Uefa president Michel Platini. Kante has this year won the PFA Players’ Player of the Year and FWA Footballer of the Year awards. This is in addition to landing Chelsea’s Player of the Year award as well as being included in the Premier League Team of the Season.